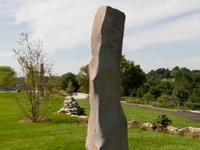 Not only is Pennsylvania the home of some of the greatest museums in the country, but it is also the home of some awe-inspiring PA sculpture gardens! 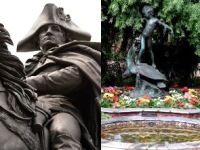 You will be amazed at the art and beauty that these sculptures encompass, so stop by at one of these many awesome sculpture gardens in PA today! Not your Typical Sculpture Garden! A mosaicked visionary art environment, Philadelphia's Magic Gardens is both a gallery and a community arts center. 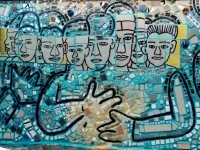 Their mission is to preserve, interpret and provide access to Isaiah Zagar's unique mosaic art and public murals. With a fully-tiled indoor space and a massive outdoor mosaic sculpture garden, you will be amazed at the creativity and beauty that encompasses this garden. You can stop in at Magic Gardens any day during the week, and you can also attend their many events and educational programs. You can take a guided tour through the garden, or you can go on a self-guided tour. If you're looking for a unique Philly day trip idea, we recommend the Magic Gardens! Located on the preserved Victorian estate of John and Lydia Morris, Morris Arboretum is the home of many beautiful gardens and amazing fine art sculptures in Philadelphia. 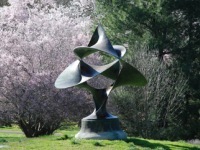 A perfect place to go to relax among beautiful gardens and artworks, Morris Arboretum will offer you a peaceful oasis amidst the bustling city of Philadelphia. Stop in to take a look at over a dozen great sculptures, including After BKS Iyengar, African Queen, Bronze Bell, Inside Out, Mercury, Stanchion, Two Lines Variable, and much more. Also, be sure to check their website for their upcoming events and programs! Sculptures by French Sculptor Auguste Rodin! A museum dedicated to presenting the wonderful artworks by French sculptor Auguste Rodin, the Rodin Museum is comprised of both indoor and outdoor sculptures. With a unique collection of Beaux-Arts architecture and a formal French garden, the Rodin Museum will leave you breathless. Displaying a total of eight works, the garden outside the museum holds great works, including the Thinker and the Gates of Hell. Check out all the themes of sculptures, including About Auguste Rodin, Bronze Casting, Museum History, and the Gates of Hell. 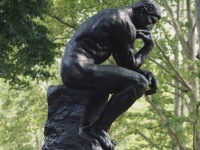 You can spend all day walking around the beautiful gardens while observing the amazing works by Rodin! Outdoor Art at Philadelphia's Finest Museum! With a one-acre, terraced sculpture garden, the Philadelphia Museum of Art presents a wonderful outdoor setting where you can enjoy and appreciate art. The garden is dividing into five sections: the Upper Terrace, the Lower Terrace, two graveled galleries, and a paved plaza. You can spend an entire day walking around and relaxing in the garden, taking in the inspiring artworks. Make sure not to miss the many on-going sculptures, including Lips, Steps, Pyramid, Giant Three-Way Plug, and much more. Once you're done looking through the Philadelphia Museum of Art's indoor artworks, step outside for some fresh air and some remarkable artworks! When it comes to sculptures in Philadelphia, there is one place that always comes to people's minds: Fairmount Park. Home of the city's most remarkable outdoor artwork, Fairmount park is rich with sculptures, monuments, fountains, and more. With over 200 pieces of sculpture, this iconic sculpture park in Philadelphia is the perfect combination of public art and natural landscape. You can see the park at any time for free, or you can take a guided tour with an expert who will explain the history and artist of each piece. If you're interested in art and sculptures, then seeing Philadelphia's Fairmount Park is an absolute must!